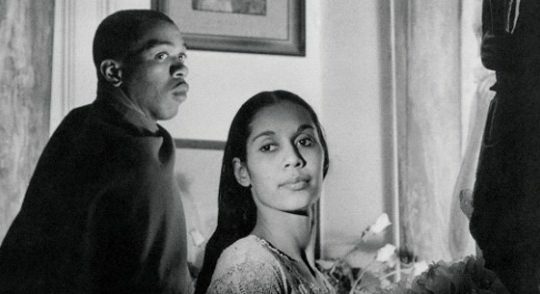 The documentary Carmen and Geoffrey (2005, 80′), a portrait of dancers Carmen de Lavallade and her husband Geoffrey Holder, will screen on July 24 at the offices of the ttff at 199 Belmont Circular Road in Port-of-Spain. The screening takes place in association with the New Waves! One-night Stand Dance Film Festival. Filmed over three years in New York, Texas, Paris and Holder’s native Trinidad and Tobago, Carmen and Geoffrey is an affectionate portrait of two (literally) towering icons of dance, who met and wed in 1954. Ever since, they have been celebrated dancers, actors, choreographers and much, much more, together and individually. The film combines archive footage with candid interviews with de Lavallade and Holder, as well as friends and acquaintances, to provide a emarkable glimpse into the lives of an extraordinary couple. Directed by Linda Atkinson and Nick Doob, Carmen and Geoffrey won the Jury Prize for Best Film at the ttff/09. The screening will begin at 7pm and is free of charge. There will be a preceding short, Tickle Me Rich, a ttff/12 selection directed by Sonja Dumas.